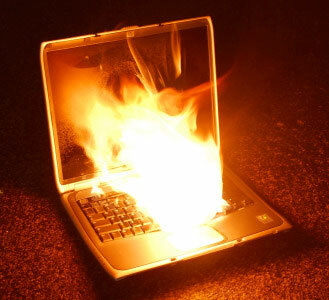 Many electronic devices such as Laptop Computers contain Lithium Ion Batteries that can potentially become a fire hazard on a plane. All Hands Fire Equipment is encouraging the use of fire containment bags as an important safety precaution that can help avert a dangerous in-flight situation. Many of today’s electronic devices boast long battery life. Lithium ion batteries in electronics such as laptops, cellular phones and video game devices are long-lasting and reliable. Unfortunately they can also be dangerous, it has been determined that lithium ion batteries can be unstable which can cause them to overheat, ignite, catch fire and even explode. This is an even greater hazard in confined areas like airplanes. In fact, the FAA made a specific request for a solution to this potential hazard because of the risk posed by lithium ion battery devices during flights. Several extinguishment methods were evaluated including but not limited to Halon fire extinguishers, suppression with water and wrapping the device in a blanket. However none of these methods can contain the explosion sufficiently nor contain the smoke when these combustible devices ignite on a plane. In any emergency and especially in case of fire, it is vital to gain control of the situation and eliminate the threat as quickly as possible. On a flight, the potential for fire is a particularly serious concern. 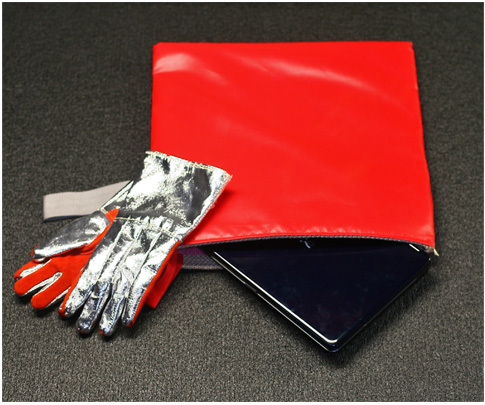 In the event that a device containing a lithium ion battery overheat to the point that it catches fire, one can simply put on the safety gloves that are found inside the HOT STOP Fire Containment Bag, grab the device with their gloved hands and place it inside the bag. 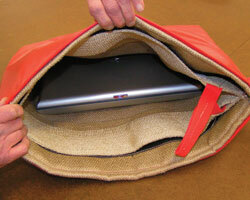 Once sealed, the bag effectively contains the fire so that the bag and device can be moved to a safe place.